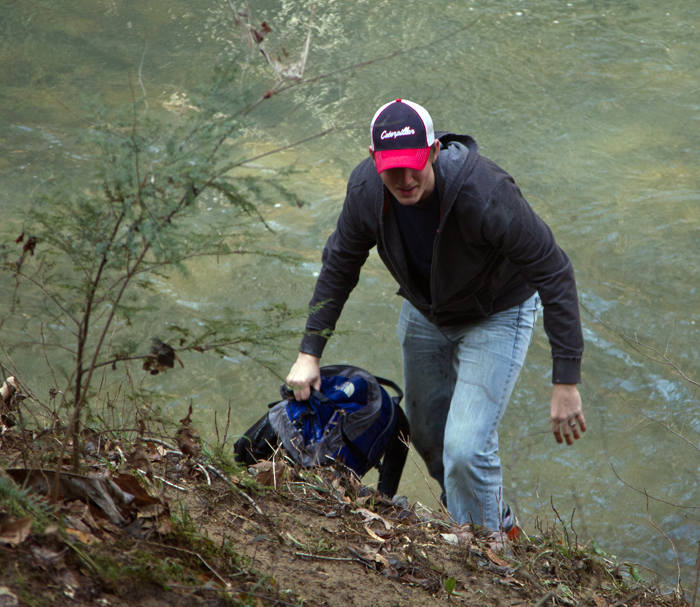 ...which immediately sent Daniel into action, charging down the hill and plunging into frigid ankle-deep waters to rescue the bag. The selfless act of one man, who had no regard for his own dry feet, shoes, socks, and pants when it came time to retrieve the backpack of another, which ironically contained a couple of rain jackets. Daniel heroically described the water as "not all that cold," though there is some thought that mostly he just couldn't feel his feet. If you're just picking up the story here, the first half of this lurid tale can be found on the prior post, here.